Dangelo's Custom Built LLC has an awesome product and they needed a website to properly display it! They build Custom Built wreckers ranging from 20 ton to 80 ton, some with rotating arms. 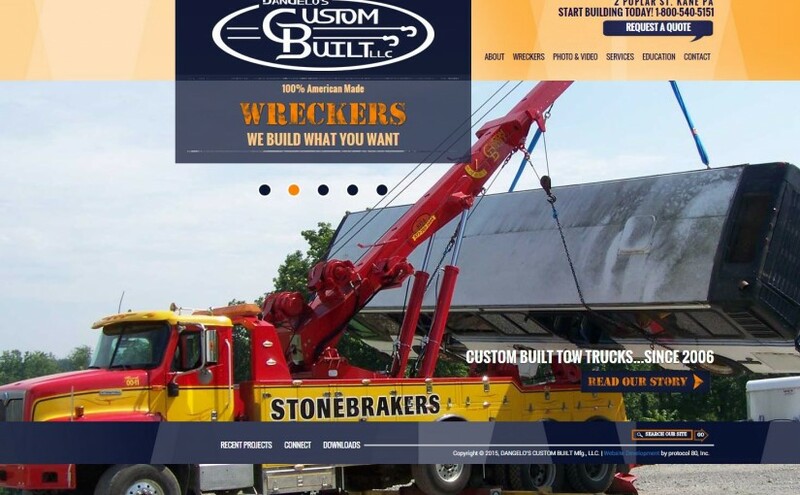 Nearly everything on these wreckers is built right in Kane, PA.
We outfitted them with a brand new website that used a lot of photography.